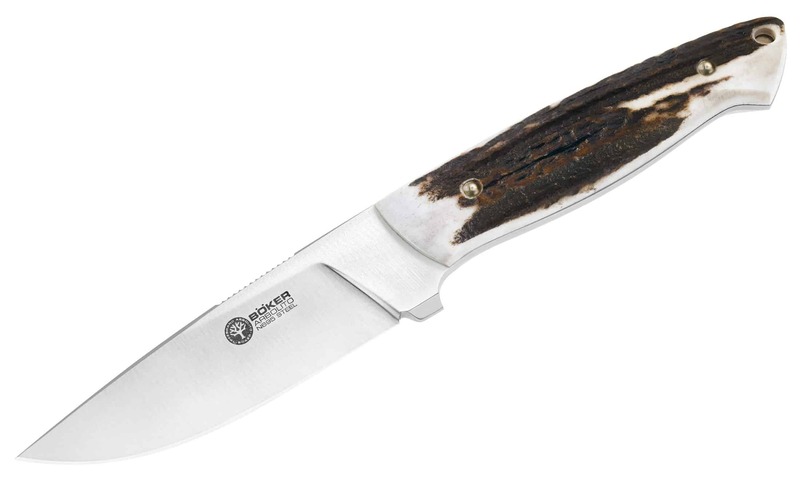 With this model, we are raising the bar to a new level, providing features found in custom knives. 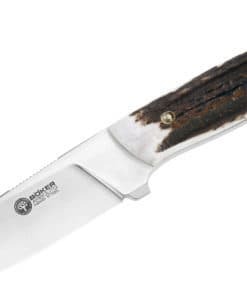 These new fixed blade knives are different in many ways from the classic Arbolito knives of the past. We now use Böhler N695 steel, with a full and tapered tang. 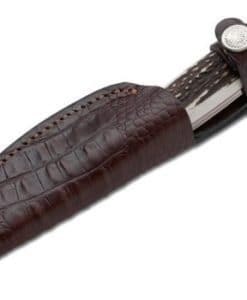 The blade is made of 5mm steel, is flat ground and provides detail such as the rounded edges on the blade spine and checkering of the thumb ramp, allowing comfortable and effective cutting. Hand selected stag handles. 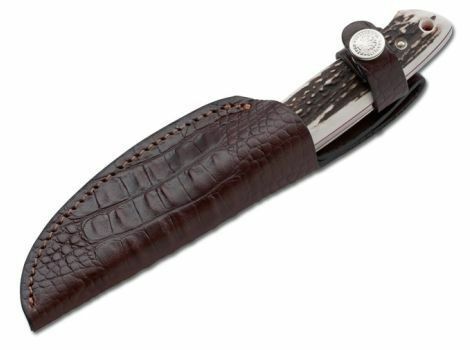 Also features a lanyard hole and includes a premium leather sheath with snap closure. Blade length: 4 1/8-in. Overall length: 8 1/2-in. Weight: 6.3 oz.